A mission-critical need right now in the fight against Duchenne is the development of good tools to help evaluate whether a new treatment is working. That’s why Charley’s Fund is supporting the work of a company called Casimir, co-founded by two parents of boys with DMD. Casimir is developing an innovative video-based approach that tracks disease progression in the most natural setting — at-home, while the child or young adult is doing typical, day-to-day activities. We sat down with Casimir co-founder — and mom of Aidan — Mindy Leffler for a Q+A to discuss what they’re working on and why it’s so important. Q: First of all, tell us why you’re working on this. What problem are you hoping to solve? Several years ago my son Aidan participated in a clinical trial that used the “Six Minute Walk Test” — how far the boys could walk in six minutes — as the measure to determine whether the drug was working. One time during the trial when he did the test, he walked many fewer meters in the allotted time frame. Turns out, he was trying a strategy he read about in a Track and Field Magazine we had lying around on our coffee table: hold back for the first five minutes, then walk really fast for the last minute. That experience made me realize that, especially when you’re dealing with children, a lot of factors can interfere with the type of timed testing that typically happens in clinical trials. Those interferences might prevent us from getting real answers on whether these treatments are working. Q: So tell us more about your idea. What is your approach? How does it work? The idea for our new tool (or “outcome measure”) came when I started taking videos of Aidan just as he was about to start his third clinical trial. I thought about the things he struggled with the most and took videos of those tasks. I wanted to track whether his ability to complete those tasks got worse, better, or stayed the same. That’s how I ended up with videos of Aidan regaining the ability to get himself into the car independently for the first time in several months. I thought about the ways that we as Duchenne parents talk to each other about how our kids are doing. We say things like, “I know he’s getting a little weaker because he’s started pushing his hands off his thighs when he goes up stairs.” As it turns out, physical therapists watch these same types of things when our kids go for their regular clinic visits. I thought, “What if we could quantify those types of changes as a way to capture the ways kids move — without even being aware of it! — to accommodate their disease progression?” Importantly, the insight our work is based on is something physicians and physical therapists already agree upon: how kids move is much more important than how fast they move. Q: That makes a ton of sense. So you’ve got this great idea. What now goes into making it a tool that drug companies can use – and moreover that the FDA understands and accepts? The first thing we needed to do was to come up with a scoring scale to quantify the movement changes the boys adopt as their disease progresses. We’ve been working with the amazing team at Nationwide Children’s, and with other physical therapists in the Duchenne community, to come up with a list of movement changes that everyone agrees indicate disease progression. The next thing we need to do is to have physical therapists score a bunch of videos to see if everyone scores them the same way — this will establish the reliability of the scoring scale, which is something that FDA wants to see. We need to establish reliability in general because that’s an important part of a clinical trial outcome measure. But also, we’re being extra careful to do it through a particular process at the FDA — the qualification pathway at FDA — to give the approach as much rigorous testing and credibility as possible. Q: Got it. 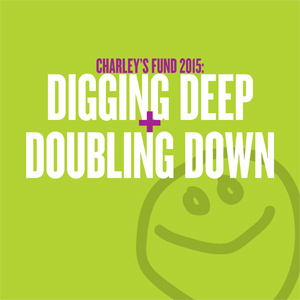 So what specifically is it that you’re doing now with Charley’s Fund’s support? Support from Charley’s Fund is allowing us to run a formal clinical study to test the scoring scale’s reliability — and its ability to detect changes in how a boy moves over time. In this study, we’ll gather videos and then have an independent group of physical therapists evaluate them according to our scale. Q: Can you tell us more about what the study involves? Each participating family will take an initial or “baseline” set of videos. Then, they’ll take the same set of videos six months later. That way, we can compare scores at each point in time and evaluate whether there have been any changes. Importantly, for the videos, we are looking for families with children at different stages of the DMD progression: ambulatory, late-ambulatory, early non-ambulatory and late non-ambulatory. We are also looking for 10 children without DMD for a control group, which can be siblings of the DMD participants. This is to help us evaluate how the tool works in boys at different stages of Duchenne and compared to a control group. The videos are taken at home and will take around 30 minutes to complete. Families whose children are participating in a clinical trial can still participate in our study. Also, each time a family takes a set of videos, the family will receive a gift certificate to compensate them for their time. Q: If people want to get involved, what should they do? If families are interested in participating, to learn more they can contact study coordinator Mary Schneider at 800-881-5657 or Mary[at]CasimirTrials.com. People can also reference more information about the study here. Q: How soon do you expect this approach could start being useful to clinical trials? Several companies are already including this video tool in their clinical trials! That’s why it’s so important to test our scoring scale in this manner and establish independent confirmation of its reliability. That way, it will be ready to use when the data for these interventional trials is complete and ready for scoring. We hope that families will participate in developing these outcome measures with us — and that sooner rather than later we will have a reliable, user-friendly method to determine which new treatments in the pipeline are working for our boys.